Apollonius of Tyana : Is Apollonius of Tyana the actual "Jesus"? For over sixteen centuries, the Christian Church has been preaching its religion to the world. Yet when we consider the horrible events that have occurred among professedly Christian peoples during the recent world holocaust, resulting in the death of a significant portion of the world's population, we must conclude that there is something radically wrong with a religion, which, after having been preached and practiced for so many centuries, has led its followers to such a terrible state of affairs, involving the conversion of this planet into one vast slaughter-house, drenched in human blood, resulting from the mass murder of Christians of one nation by fellow-Christians of another, each being urged on and blessed by their own priests. And such a condition has prevailed in Christiandom ever since the Christian religion was first created, organized and established in the year 325 A.D. by pagan Roman churchmen convening at the Council of Nicea. This council was presided over by the arch-murderer Constantine, Emperor of Rome, who had assassinated, in cold blood, a dozen of his near relatives, including his own wife. And the history of Christianity has been no more honorable than its origin; for ever since Constantine first established it as the state religion of Rome, it has been responsible for the death of over fifty million innocent people, under the charge that they were "heretics," because they refused to accept the unreasonable dogmas of the church --including about three million women who were burnt alive as "witches" in comparatively recent times, by men who called themselves priests of the Christian religion. 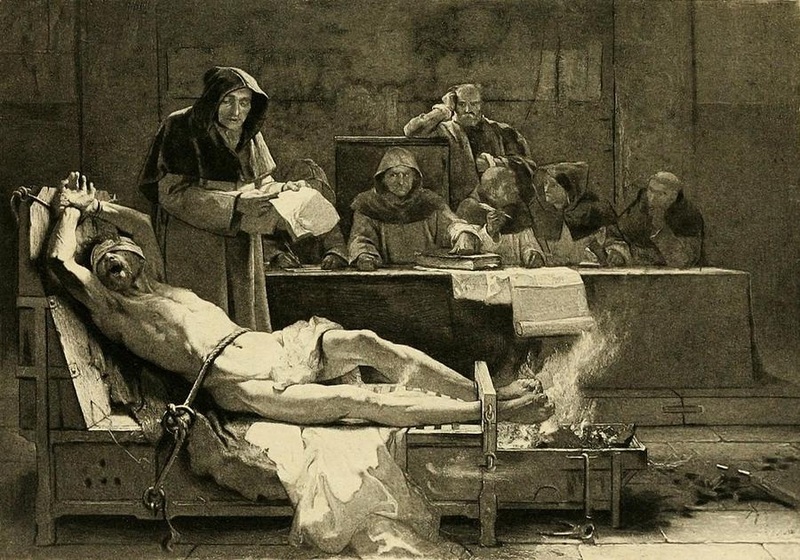 What would the founder of Christianity, the gentle Nazarene and Prince of Peace, think of the crimes that have been perpetrated down through the centuries, in his name, by a church which professes to be his earthly representative -- the Church Militant! What would he think of the rotting corpses of over fifty million of his dearly loved brothers and sisters, who were put to death by this same church because they refused to accept its falsehoods and instead preferred to follow Truth, of which he was the great exponent? And could a church whose Inquisition has left such a black record behind it be expected to offer us a written document (The New Testament) that could be accepted on face value as the authentic words of a man who taught peace, forgiveness and kindness, rather than bloody murder? And might it not be possible that not only the teachings but also the life history, and even the name of the Nazarene could, during the course of centuries, have been altered by the ecclesiastical scribes of the Church of Rome in the interests of its dogmas and ambitions for temporal power? Also might not the original Nazarene, the peaceful Essene, whose goodness and pacifism extended not only to humanity but to the animal world as well, have been transformed, by Constantine's henchmen, the pagan-Roman priests who became the Nicean Church Fathers, into another man -- called "Jesus Christ" -- more acceptable to their emperor? That this was the case, is the object of the following pages, devoted to the life and teachings of this unknown man, to prove. Two thousand years ago a great teacher of humanity appeared in the world. He was a philosopher, a social leader, a moral teacher, a religious reformer and a healer. From one end of the Roman empire to the other, wherever he went, divine honors were bestowed on him -- by all, from slave to emperor. He was undoubtedly the greatest man of his age; and his date of birth (4 BC) and period of activity coincided exactly with those of the Christian messiah, except that Apollonius' life of incessant labor in behalf of humanity extended for over a century, during which time he preserved his health of body and brilliance of mind unimpaired by the passage of time. He was a supreme exemplar of human perfection -- physically, mentally and spiritually. Oven seventeen temples were erected in honor of him in various parts of the Roman Empire. His name was Apollonius of Tyana. No more courageous humanitarian and social revolutionist has ever come to this world to help the human race and redeem it from suffering. Alone and single-handed, he defied the bloodiest tyrants who ever sat on the Roman throne -- Nero and his more terrible successor, Domitian. Apollonius fearlessly traveled from one end of the Roman Empire to the other, inciting revolutions against the despots, and establishing communistic communities among his followers, who bore the name of Essenes, early Christians. And not content with such activities in the Roman provinces, he bravely entered Rome itself, after all philosophers had been expelled from the city under penalty of death by the cruel Domitian; there he openly denounced the tyrant, for which he was arrested and thrown into a dungeon, awaiting certain death which however, due to his brilliant speech in self-defense and his extraordinary powers of mind, he averted, securing his liberty. Two centuries after Domitian, the arch-murderer and degenerate Constantine sat on the throne of Rome. 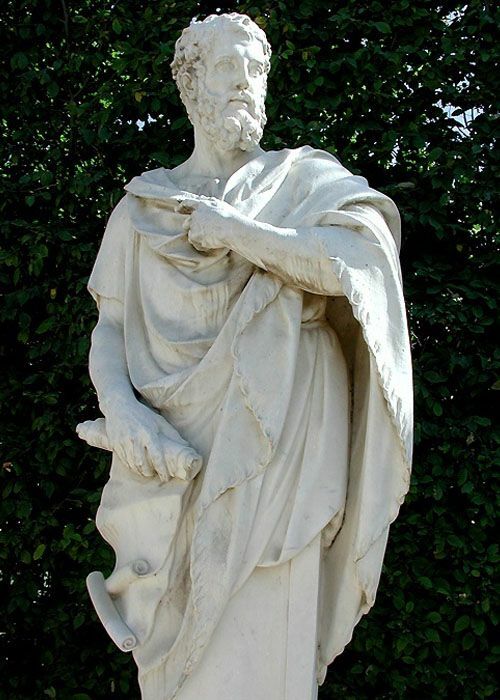 While former Roman emperors hated Apollonius because of his revolutionary and "communistic" activities, Constantine especially hated his Pythagorean teachings -- his strict advocacy of vegetarianism, abstinence from alcohol and continence [self control]. Constantine enjoyed the red meats, the flowing wines and the beautiful women of his midnight revels too much to be willing to accept the religion of which Apollonius was the recognized head -- a religion which he imported from India, based on the doctrines of Chrishna [sic.] and Buddha and bearing the name of Essenian Christosism. It was for this reason that Constantine directed his armies to exterminate the descendants of Apollonius's Essenian followers, who were known as Manichaeans. Finding that the religion of Rome was in a state of advanced decay and was daily losing hold on the masses, while the cult of Apollonius and the communistic communities of his Manichaean followers, in spite of the severest persecution, kept spreading, threatening the vested interests of Rome, Constantine's henchmen - the pagan priests of the Roman religion - decided to hold a convention at Nicea in the year 325 A.D., for the purpose of establishing a new religion. They decided to take over the popularity enjoyed by the followers of Apollonius, appropriate its essential doctrines (altering them so that they might be acceptable to Constantine), and to replace the philosopher Apollonius, whose abstemious Pythagoreanism was too well known and too much hated by their emperor, by a super-natural messiah whose teachings would be less radical and more acceptable to him. So in place of Apollonius of Tyana, they put their newly created savior, whom they named "Jesus Christ" who then and there, was first conceived and created in the minds of Roman priests who were later known as the Nicean Church Fathers. 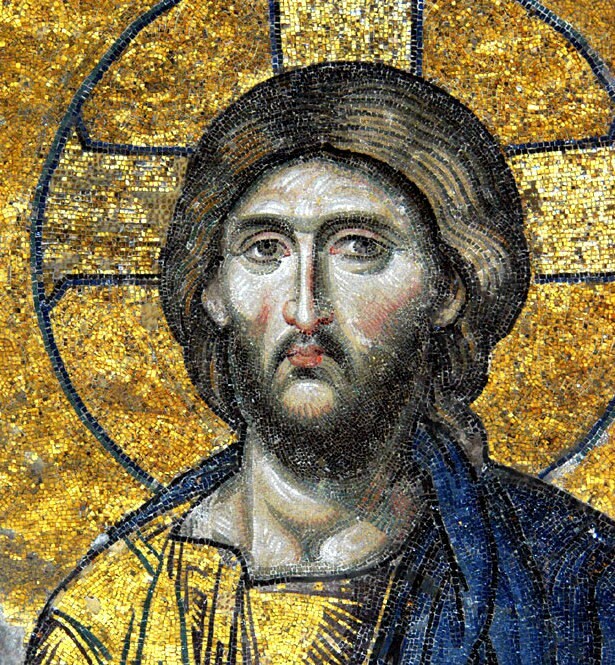 As soon as Jesus was put in the place of Apollonius, the task of the Roman churchmen was destroy all records concerning Apollonius and his Essenian Early Christian followers during the first three centuries, so that the world might forever be kept in darkness concerning this collosal deception, and be made to believe that Jesus and the Christian religion, which they originated at the beginning of the 4th century AD, antedated their creation by three centuries. It was for this reason that the Alexandrian and other ancient libraries were burnt, so that all books written during and pertaining to the first three centuries of our era might be destroyed. And so well did the churchmen succeed in obliterating such records, that, for nearly two thousand years, the world has been kept in darkness concerning the fact that Apollonius of Tyana was the recognized world teacher of the first century, and that during the first three centuries, before he was created at the Council of Nicea, as an alternative messiah to Apollonius, no such man as Jesus Christ was known to or mentioned by anyone. No greater cultural loss ever occurred than happened when the Christian mob set fire to the books and manuscripts of the Alexandrian Library, in order to destroy all records of Apollonius of Tyana, so that the world might forever be ignorant of his existence and of his replacement by the previously non-existent and unknown Jesus, which occurred at the Council of Nicea, in the year 325 A.D. But fortunately, a certain book survived - the forbidden book - of all books in that great library - that was most feared. It was "The Life of Apollonius of Tyana" by his biographer, Philostratus. The book was secretly carried to the Near East for safety and for over a thousand years it was preserved among the Arabians, in spite of all efforts of the crusaders -- in the interest of the Papacy -- to destroy it. Somewhat over four centuries ago, this forbidden book was first brought into Europe from the East; and it was not until 1801 that the first complete English translation, from the Latin, was made, in spite of the opposition of the clergy, who, when no longer able to suppress its publication, succeeded in rendering it oblivious and in maintaining the same popular ignorance of Apollonius and his historical significance as existed during the Dark Ages. So well did they succeed, that, though while after the appearance of Blount's first English translation of Philostratus's biography of Apollonius at the commencement of the nineteenth century, his name was on every cultured Englishman's tongue; today, over a century later, he is almost completely unknown, even in academic circles, mention of him having been omitted from historical works and from the educational curricula -- so that, paradoxical though it may seem, the greatest man of the western world during the past two thousand years has been completely removed from the pages of history. It is the purpose of this book to present the life and teachings of this man. Published - FIELDCREST PUBLISHING CO., INC., 210 Fifth Avenue, New York 10, N.Y. Copyright Status - Author is deceased, publishing company defunct, Rights not reserved.